A book summary for an Inner Disciplinary Group. In HOsPicE we talk alot about Bereavement, grief and mourning. Grief is the gut wrenching emotional pain we feel at a significant loss. Mourning is the process of ritual and expression to help us work our way through pain. Bereavement is the daily getting up and choosing to not quit. It's choosing to eat when you don't feel like it. Go meet with a new friend when you would rather stay home, writing down your thoughts, reading a supportive book, maybe praying and seeking out some help from others that have walked a similar journey. It's leaving a place you can't stay (life with your loved one by your side) toward a place that can be OK, (life with your loved one in your memory) maybe... sometimes even better (your loved one without pain). But that takes time, other people, experimenting with some new thoughts, new ideas and maybe most importantly some hope along the way. Ultimately a realization that death isn't the end. Change Your Words - Change Your World! A major part of learning to Change Your Words in order to Change Your World is learning to complete the story that is running in their mind to run in your mind as well. It's called "empathy" - the ultimate power to enable change. As medical, social and spiritual professionals trying to postively help our patients we frequently find ourselves trying to say negative things in positive words. "If you smoke AND use your oxygen at the same time you're gonna blow us both up. Stop it!" "If you and your caregiver can't keep your meds straight then we can't renew your prescriptions." How can we change our words? 1. Time and place. Make sure you choose a good time and place. If you are giving constructive criticism about something that has led you to having a strong emotional reaction wait until you are away from the situation that is bothering you. Give yourself time to calm down before describing your concerns. Don’t wait until the next time the situation occurs to confront the behavior. 3. Describe your feelings (using “I” statements) without blaming the other person. For example: “I feel angry when...” rather than: “You make me angry”. 5. Specify both the positive consequences if the person does meet your request for change as well as the negative consequences if they don’t make the changes. 6. Be realistic in the changes you are suggesting and the consequences if they do not. Do not make empty threats. For example you wouldn’t say: “I will throw away your radio if you don’t turn the music down”. 7. Ask the other person how they feel about what you have just said. Being assertive is about having an equal interaction. Be careful this doesn’t end up as an exchange of criticisms. 8. Try and end on a positive note. If appropriate add a positive statement of your feelings towards the other person. A Prayer - Dear God, Please make my words a source of hope, kindness and healing. Help me to evaluate "the well" in my heart from which my words come. Please help me to make sure my intentions are pure, my words are compassionate and their affects are hopeful;. Change is hard! While Isaiah & 1 & 2 Kings were written to God's people when they were being punished for having consistently walked away from God and His word. Jeremiah and 1 & 2 Chronicles were written to those that had been in exile for several years. The books cover the same history but have a different purpose. Jeremiah and the Chronicles are trying to prepare people that felt abandoned by God, "picked on because of their forefathers sins" you might say, God was trying to explain history with a backdrop of hope. In so many words - "change your habits I have created you to live for better things than this". How do we keep our goals, or new wholesome habits we made for the New Year. One way is to fortify our hope. It has been said, "hope is like oxygen, you don't really miss it until you don't have it and you really can't live but a minute or two without it." In hospice some of our greatest challenges is to help people see hope in spite of being surrounded by symptoms of death. Is Jeremiah's words vain or hopeful? What is to be our focus that brings hope when the doctor says, hospice might be a good option for you now? Jeremiah 29:11 "For I know the plans I have for you, declares the LORD, plans for welfare and not for evil, to give you a future and a hope." SERMON IN A NUTSHELL: If our Christian life is like a journey, and it is... If we are constantly making major life choices, and we are... If someone is always giving us input, and they are... then how do we discern who to listen to? Discerning the voice of the Good Shepherd is a vital discipline. He doesn't just lead us into comfortable places. The Good Shepherd's voice is familiar to those who have spent time listening to Him in virtually every kind of circumstance. The disposition with which we live our life is a telltale sign of to whom we are listening, not so much our comfort zone or a lack of life struggles. What kind of relationship does this parable suggest between the sheep and the shepherd? How did people respond to Jesus’ teachings about sheep and the shepherd? How do you try to nurture your relationship with Jesus Christ so that you can discern His leading? What kinds of circumstances does Psalm 23 suggest our Shepherd might lead us through? According to Galatians 5:16-25 what are some cultural indicators that we are following the Good Shepherd also known as “Keeping in step with the Holy Spirit”? And what are some indicators that we are not following the Good Shepherd? Discerning the Voice of the Good Shepherd ...one step at a time, one day at a time, one verse at a time, one crisis at a time, one story at a time, one season at a time, one decision at a time! Eph. 5:15-21 "Look carefully then how you walk, not as unwise but as wise,16 making the best use of the time, because the days are evil.17 Therefore do not be foolish, but understand what the will of the Lord is. 18 And do not get drunk with wine, for that is debauchery, but be filled with the Spirit, 19 addressing one another in psalms and hymns and spiritual songs, singing and making melody to the Lord with your heart, 20 giving thanks always and for everything to God the Father in the name of our Lord Jesus Christ, 21 submitting to one another out of reverence for Christ." TLCC’s Labyrinth— is focused on the cross. Starting at the bridge head west toward the road. As we begin life we see the cross as a reflection in the lives of our parents. By the time we enter school we zigzag through life learning from our parents as we go to church, youth group, church camp and VBS learning about the cross. By the time we have finished 6th grade we are well aware of right and wrong and hopefully ready to contemplate our personal commitment to Christ and baptism. Through this we identify with his death, burial and resurrection to a new life in Christ. Ultimately through His grace and our decision to embrace Jesus Christ we resolve to make the Cross & new life our life’s pursuit. Our life in Christ begins, sometimes feeling intentional, at other times feeling random in direction. As we enter mid-life we begin to accept that sometimes we can’t see the cross, but in faith we learn that it never moves, it is us that hides, not the cross. We allow some things to come between us. Wait for it…. Wait for it! Repentance, celebration, prayer, meditation and other spiritual disciplines make sure we never ultimately loose the influence of His work in our life. As we leave mid-life we enter a time of looking over at those younger prodding along at a distance. We long to help, enjoy and be a part of their path but we whimsically look on at a distance. It’s not that we wish we were there, we wish we could help them avoid consequences of bad decisions. The best we can do now is to encourage anyone that will listen. Most importantly we must be evidence to them that spiritual success is worth pursuing! By the time we reach the “Sr. Adult” stage we are understanding more and more that life is preparing for our next life. The way is narrow, the most dominant sight for those that know Jesus becomes the cross. Finishing well becomes the priority. The power, the lure, the anticipation of what lies beyond the cross affects you everyday because the sensations of mortality long to control our soul. But hope and faith cries out for the peace that Jesus secured on the cross and from the empty tomb . The only other option is fear and depression. You must learn now to trust that God will finish the work He has begun in the lives of your loved ones. Spiritual disciplines throughout the Journey will help us discern His plan and learn to trust in his eternal purpose. Therein lies our ability to sing when the time comes "It Is Well with My Soul." “I get down on my knees and say, “Lord, I need to know what you want me to do, and I am listening. Please speak to me through my friends, books, magazines I pick up and read, and through circumstances” (quoted by Dallas Willard in Hearing God, p. 199). As Americans we find authorities, kingdoms and laws in conflict. As Christians we must clarify our identity and prioritize our citizenships. In nationalism there is a tendency to tie our identity to whatever our national leaders say will secure our nation. When hearts and heads of national leaders don’t find their identity in Jesus’ Kingdom there will be confusion and conflict for Christians. When patriotism (love of country and virtues that secure our nation) are identified with the higher authority of Christ’s Kingdom there will be peace and confidence even amidst the confusion and conflict in our world. A key building block of discipleship is to keep our identity as citizens in proper order. Christ’s Kingdom before our national identity is a must and very subtly misconstrued. Isn’t it interesting that the Jewish leaders didn’t want to be contaminated from celebrating the Passover (Sacrifice of the Lamb) and thus wouldn’t go into the Roman courtyard. Meanwhile they are trying to manipulate the Roman law to “sacrifice THE LAMB”. How do we tend “work” our nation’s laws for our benefit while ignoring the will and work (the Kingdom) of God? How might our political problems be addressed if everyone would focus first on their identity in Christ? How can we as Christians live amidst nationalistic conflicts by keeping our identity in Christ? Grandpa once told me "Getting old ain't for sissies!" It's not just the physical and emotional changes that take place. I am pondering the spiritual changes too! Paul told Titus to "Teach the older men to exercise self-control, to be worthy of respect, and to live wisely. They must have sound faith and be filled with love and patience." It seems to me that the older us guys get the more we tend to lean one direction or the other. Toward God's goodness or our "badness" to accomplish our heart's passions. It seems much easier to rely on our character weaknesses like selfishness, manipulation, passive aggressive, victimization or whining than to recognize our weaknesses and run to God. Where else do the common terms like "Old Cogger", "Old Geezer", "Old Grouch" come from? If I'm going to be "worthy of respect" I will have to capitalize on my faith that God covers my weaknesses and calls me way from them. I must constantly remind myself that He will persistently walk me toward my strengths if I will follow Him. I must be FILLED (yes caps) FILLED with love , patience and self control. Otherwise I will begin to live life feeling entitled, selfish and "grouchy". Thanks Grandpa you were a great example and fondly remembered by your Grandsons and Greatgrandchildren. Aging gracefully... not easy. It ain't for sissies, but I am reminded that Ruby deserves the best! My take away is this... The older I get the easier it is to rely on deeply hidden character flaws to accomplish my plans, spiritual or not. I must maintain "alone time in the cave with God listening to the still small voice" in order for me to keep my head and heart on straight. If our wives, children, grandchildren can't see it in us they will look elsewhere! SERMON IN A NUTSHELL: Some people are blind, but want to see the truth… others can see, but refuse to see the truth. They will get their wish! People that want to see how Jesus is working in their lives and in the lives of this church will see that. People who get distracted in their spiritual walk by focusing on human rules or comparing themselves to other people will live in anger and fear. Those watching for Jesus' work and word will be inspired, challenged and rejoice in their growing faith. When it comes to life situations you are living today upon what are you focused and what emotions/actions do you anticipate will result? SERMON IN A NUTSHELL: It’s too easy to be familiar with talking points about the history that we choose to remember ("Father Abraham") and then choose our loyalties based upon our self-centered perspectives rather than the truth. It's fine to memorialize our loved ones, but be careful not to idolize them. The bottom line is that we either line up with Jesus or we don’t. Those who believe in Jesus line up with Truth, those who don't scoff at those who tell the truth and then line up with the Devil! A tendency to categorize, scrutinize and minimize with my perspective in the center. A tendency to choose who’s in and who’s out by where I am. A tendency to demonize those that are “out”. A tendency to not listen to those that are “in”. What's the difference between the Pharisees saying Jesus "has a demon" and Jesus saying "you are of your father the Devil"? Identify 2 or 3 individuals you typically think a lot about on Memorial Day. What are some things that make them special? What are some lessons you can learn from them, both as good examples and as bad? What are a couple of "no-negotiation" core values upon which you seek to build your family? SERMON IN A NUTSHELL: Is your faith based in a religion or in a relationship? One who is a disciple of a religion focuses on rules with the purpose of controlling others and manipulating circumstances to serve himself. One who is a disciple of a personal Savior focuses on a relationship that inspires a life of grateful trust in the one who saved him. The Identity of Jesus challenged the Jewish religion of man-made traditions. Jesus challenged their claim to authority and again clearly confirmed his claim to be Deity, God in the flesh, using the name reserved for Yahweh, Jehovah, Creator. I AM. *and being Jesus’ disciple is dependent on whether you hold to his teaching. *Jesus points out that spiritual parentage is what determines our destiny and is revealed in how we live our lives. *Whether we love Jesus and make room for His Word living by faith, determines our spiritual parentage. *Jesus’ Identity is intimately tied to the One who operates in Infinity. I AM. The ever-present One who reigns over all creation, has come to give eternal life to those who would embrace his Son. Pre- Sermon Question: Describe a person in your life, a female, that was a person of Grace. How about a lady that tended to focus on lists, rules and shame? Of all the "Patriarchs" described in the Bible is there one with which you most identify? Which one? Is that a healthy identification or an unhealthy one? What could make the difference? TIMBER LAKE’S PAST VIDEOS (YOUTUBE) ? Unless you believe that I am he you will die in your sins. Your choice of identity affects your ability to understand. 5/7 "Look Up so you can Look Down - Walking in the Light!" What gives you a sense of identity? How has your identity affected your perspective? How has that perspective influenced any major decisions you have made this past year? The context from which you look at facts will profoundly influence what you see and how you interpret it. Ultimately that context of your perspective will affect every choice you make. If you look at Jesus and His purpose from “the world’s” perspective you will not see His deity nor appreciate His work and certainly not apply yourself to His purpose. If you look at Jesus and His purpose from “heaven’s” perspective you will define everything by His sovereignty and embrace His will, His work. Therefore... "Look up so you can look down and walk in the light." Using James 3:13-18 define the context of your perspective; do you look at God through the eyes of the world? Or do you look at the world through the eyes of Jesus? Has there been a particular female that you might consider as a "Mother" to you in your faith? Have you expressed your appreciation to her? 4/23 "Where Are Your Accusers?" IN A NUTSHELL: Jesus doesn’t discount sin, nor does he just ignore it, he pays for it so we don’t have to. Sin separates us from God, how could he just overlook it? It also separates us from each other. Everyone is focused on the woman caught in adultery, but what about the wife and children of the dad that has gone awol? But it is also important to realize He DOES NOT prefer one sin over another. An unfaithful heart is no less damaging than a critical one! Think back to your last debate with someone about a moral issue… what was their sin? What inappropriate attitudes did you bring to the debate? What sins do the average “church goers” spot in others and frequently hold them accountable? What sins do the average “church goers” tend to excuse in themselves (ourselves)? How can we as a church nurture dominant attitudes of grace, anticipating redemption while not relaxing our moral code of holiness? This story is consistent with Jesus’ disposition. It is easier to see the sins of others than our own. The disposition of legalism is criticism. The disposition of grace is redemption. IN A NUTSHELL: Several weeks ago we met Nicodemus coming to Jesus at night, out of sight of his fellow Pharisees. He appeared to be trying to figure out who Jesus was and why he was saying and doing the things that he was. Today we see Nicodemus slow but progressive decision to come out of the closet with his faith. It was clearly a process. In Jn. 7:50 we see Nicodemus thinking for himself, low drama, high logic. By John 19:39 Nicodemus is overwhelmed with the reality of who Jesus is, what his closed minded friends had done and how Jesus suffered and died. It seems Nicodemus lost interest in his old way of life and became overwhelmed with the strength to live out a “Born Again” life. Nicodemus' values, mind and heart were changed by the Gospel! It is an accurate view of Jesus' cross and our sin that finally enables us to come to a saving faith in Christ! What do you imagine Nicodemus' colleagues were doing while he was preparing Jesus' body for burial? Have you had any things that have "amazed" you about Jesus but didn't convince you to give your life to Him? What do you like about his teachings? What makes you hesitant? Do you ever wonder why Jesus, his name, his teachings are so divisive? What about Jesus' life, his teachings, his ministry has made you decide he is worth sacrificing everything else to follow Him? 1. Powerful "life-questions" may introduce you to Jesus. 2. Serious "life-injustices" may draw you closer to Jesus. 3. Profound "life-suffering" can force you to change your loyalties. 4. The resurrection is the evidence that everything said about the cross is true! This week's CARE Sheet is printed and in the church foyer or download here. IN A NUTSHELL: Jesus promised the woman at the well living water which would quench her thirst in such a way that she would never thirst again. Now, makes an even bolder statement at the feast of tabernacles. Along with the ceremonial water libation, Christ declares to them (and to us) that He is the water of life and the only one who can satisfy. According to verses 30 & 44, they were unable to lay a hand on Jesus. Why? What does Jesus promise to those who come to Him? What does He mean by it? V. 38: Does the river (streams) of living water flow from God or man or both? What do you think this verse means? What evidence or experience convinces you that Jesus really was sent from God? Why do some people hear Christ’s message and reject it, while others hear the same message, believe and are faithful? What is Jesus’ invitation in verses 37-39, and how does it speak to you today? How do we “drink” what Jesus is offering? 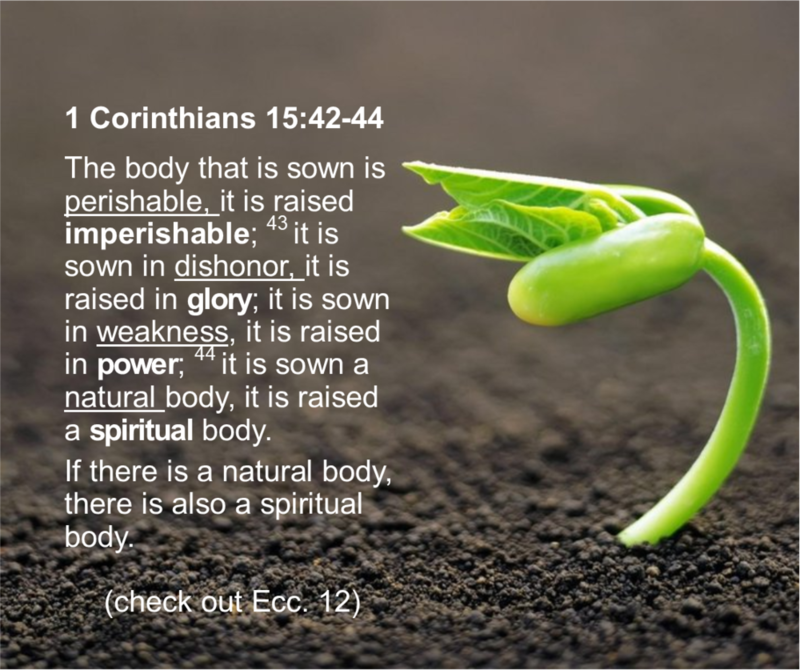 How are these verses foundational to real faith(fulness) and growth of the kingdom? 1. God is ALWAYS in CONTROL. 2. Are you REALLY THIRSTY for Christ? 3. What does it mean for us to DRINK CHRIST IN? 4. We DRINK the Living Water when we IDENTIFY with Christ in BAPTISM, and His SPIRIT quenches our soul’s thirst. 5. It’s not about us being HAPPY… it’s about the KINGDOM being BUILT. What was the water libation? IN A NUTSHELL: We all know Jesus kept the law without fail. We also know that by age 12 Jesus was going to Jerusalem for the various feasts. This means that more than likely for 20 years Jesus had come to Jerusalem with the thousands of other Jews to celebrate the Feast of Tabernacles. He slept, ate and celebrated God's provision with his family in a Sukkot. This Sukkot was a type of tent with loosely placed palm leaves so the stars could be seen at night. By now (in John 7) his ministry campaign, humanly speaking, was crumbling. In recent months thousands had walked away and here we see his family subtly scoffing at his intentions to recruit disciples. The history of the Feast of Tabernacles was full of purpose. Look to God for all hope and provisions, illustrated powerfully through the water & manna in the desert. This life is a journey, when it doesn't feel like home... look up, trust Him! How did Jesus' brothers react to Jesus regarding his going to the Temple? John 7:1-24 Does this seem strange in light of the fact the Jewish leaders are trying to kill him? Keep in mind the context John describes for Jesus in chapters 5 & 6; the conflict, the fickleness of mankind and thousands walking away. How would you feel about going to the required feast of tabernacles if you were Jesus? If you were one of the disciples supporting Jesus? How would you feel if you were one of Jesus' brothers and the Jewish rulers were wanting to kill your brother? What does Heb. 11:13 tell us about people who live by faith? Can you describe a period of time in your life where you thought you were trying extra hard to do the right thing but it seemed like nothing was working out like it should? How did your situation finally work out? Were there any faith lessons you learned about yourself, about God during that time? Are there any particular religious traditions or rituals that seem confusing or empty to you? Do you celebrate in particular traditions or rituals that remind you to "look up", to think about how He has provided for you or other believers in the past? Why do you think John included the account of Jesus' brothers skeptical responses in a book supposedly written to promote confidence and faith in Jesus? IN A NUTSHELL: Amazing Grace is best seen in contrasts: Light in the presence of darkness. Life in the face of death. Focusing only light & life can result in a sense of entitlement. We get use to enjoying only the “comfy”. John 6 tells us people were flocking to Jesus because of the amazing signs, healings even the dead being raised. Mark 6 tells us John the Baptist was killed… but not raised! John 6 says Jesus spoke of hope and God’s goodness, feeding thousands from 2 fish and 5 loaves, Mark 6 says Herod held a lavish banquet costing tax payers big money and John the Baptist his life! Jesus walked on water in the middle of the storm! Is loss failure or an opportunity for a faith lesson? Grace is amazing when you see the light and life in the face of darkness and death! We see that once the 12 apostles came to report to Jesus about their “evangelistic tour” Jesus intended for them all to get away and rest… then what happened? How would you feel if you had been particularly close to John the Baptist, then he is beheaded… while Jesus is healing a bunch of other people? Why does Mark say Jesus went to the mountain to pray? Why did Jesus ask Philip about the food according to John? Have you ever thought that maybe a big problem dumped in your lap might be Satan’s attempt to trip you up and God was intentionally going to use it to “TEST” your faith in Him? Are there any particularly good things in your life that maybe you have grown to feel you are entitled to? Are there any particularly tough issues in your life that maybe you need to see in light of some good things God is trying to show you? What are you trying to accomplish that maybe God is waiting for you to let Him do? What might be some things God could be waiting on you to do? What does the Bible say about Entitlement? What does the Bible say about Grace? “Wonderful Words of Life...” Peter was in a bewildered state of mind when he said, “Lord, to whom shall we go? You have the words of eternal life.” This sermon asks the worshipper to define whether things that mean so much to us point us to Jesus or do they become the objects we have come to worship? The lame man insisted he was looking forward to bubbles in a pool. The Jews insisted keeping the Sabbath was the key to coming closer to God. Some flaunted their knowledge of Scripture and their loyalty to Moses and the Prophets. Still others couldn't help but long to hear more of Jesus' teachings. Moses testified about Jesus as the "Lion of Judah" with a "scepter." Moses testified about Jesus as the "Lamb that would take away our sins." The Scriptures testified that the Messiah would make the lame to walk, the blind to see and the imprisoned set free. But Jesus' number one job was to help us believe. Read through the entire 5th chapter... what sentences indicate extreme emotions? What kinds of emotions? Where specifically do we find Moses describing Jesus? How do the OT prophets describe Jesus? How would you feel if you were one of the Jews and Jesus acted as if he was trying to break the Sabbath? If the ultimate "Truly,Truly..." (truth) in this text is that there is eternal life and there is also eternal judgement, then what do you need to know and do? What religious tradition do you believe in as much as the Jews believed in respecting the Sabbath? How can believing Jesus is God's son make life's trials easier to endure? Contact me with any questions or comments using the form below. Thank you!